Authorities Friday reached out to the public for help in locating a man suspected of using counterfeit currency to purchase cellphones in San Diego County. 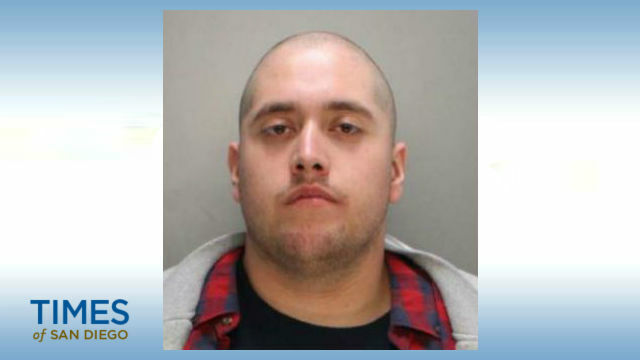 Mario Kevin Chavez, 28, is wanted in connection with a series of crimes involving the use of bogus bills to purchase mobile phones from people throughout the county, according to San Diego County Crime Stoppers. Chavez, who also goes by Mario Ruiz, allegedly targets people selling cellphones on sites like OfferUp and LetGo, as well as classified ads posted on Craigslist. He allegedly contacts the seller through the app or text message, then agrees to a price and pays for the mobile device in bogus bucks. In most cases, the victim discovers the money is counterfeit after he has already left with the device, according to Crime Stoppers, which warned that Chavez has been known to flee or allegedly use force if confronted by a seller. He’s described as Hispanic, 6-foot-3 and weighing around 295 pounds, with brown hair and eyes. Anyone with information about Chavez’s whereabouts was asked to call San Diego County Crime Stoppers at (888) 580-8477 or contact the agency online at www.sdcrimestoppers.org. Tipsters may remain anonymous and could be eligible for a reward of up to $1,000.